Pasco deputies say the man burned the woman under her eye, hit her arm with the sharpened piece of metal and stomped on her leg. 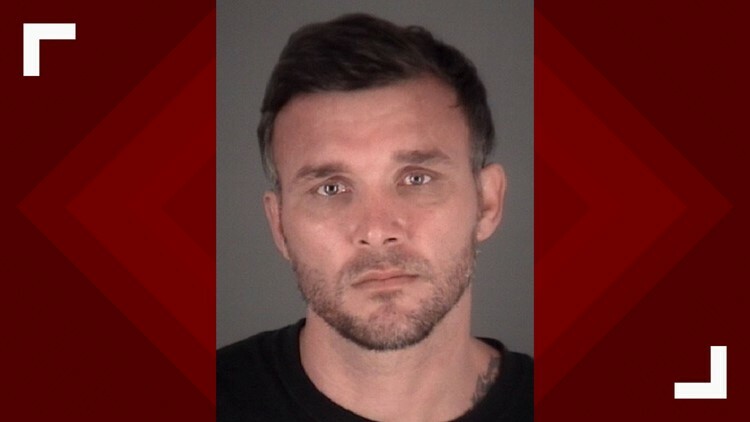 PORT RICHEY, Fla. — A Pasco County man was arrested Saturday after deputies say he cut his girlfriend, hit her with a sharpened piece of metal and burned her with a cigarette. Deputies say William Lee Shroyer, 37, also stomped on the victim's leg and left "bruising in the shape of [a] shoe impression." Deputies say Shroyer and the victim live together and are in a romantic relationship. An arrest report says the victim said multiple times that she was afraid of Shroyer. According to an arrest affidavit, deputies found a "large piece of metal" inside the victim's home. Investigators say it was about 42 inches long and two inches wide and was sharpened on one end. The arrest affidavit said Shroyer admitted to having a cigarette in his hand during the argument and that the victim was burned by it. Shroyer faces charges of aggravated battery with a deadly weapon and aggravated battery with serious injuries.